Did Trends Win The Last Martin Pipe at Cheltenham? On trends, the 2019 Martin Pipe Conditional Jockeys' Handicap Hurdle shortlist included the winner, second and third, in a competitive 24-runner affair. The Joseph O'Brien-trained Early Doors had gone on the shortlist in 2018, his only negative then being unproven stamina. 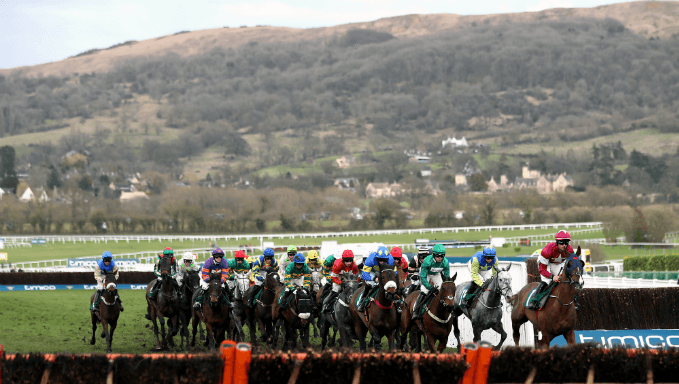 Having finished third then and gone on to be second in a 3m Grade 1 on his last run before the 2019 Cheltenham Festival, he was again highlighted as one to respect in the Cheltenham betting. Like all five trends picks, he had won a hurdle race, but no more than two, and had the right breeding, as well as the right age profile. He was also rated top, most winners of this race boasting ratings in excess of 138. He went on to win as the second successive topweight to do so, with fellow trends picks Dallas Des Pictons and Defi Bleu in second and third. Defi Bleu was a classic trends fit, having won over 2m4f, and been placed in Graded company over further distances. Dallas Des Pictons had also proven his stamina and lined up bang in-form. Both were trained by Gordon Elliott, who has a good record in the race, as does Willie Mullins, responsible for the fourth trends spot Getareason. He ticked many of the boxes Defi Bleu did, but his jumping let him down and he beat few home in his handicap debut. Pym was the final horse on the trends shortlist, boasting a course second in Grade 2 company and a 2m5f win last time out. He finished 11th. Two key notes that will help your Martin Pipe Handicap Hurdle trends analysis are: there have only been 11 runnings of the race, and it is limited to horses rated 145 or lower - 140 before 2012. Had run in a Graded hurdle - three won Grade 3s. Overcoming trouble around the final bend, Early Doors found daylight approaching the last flight and went on to win the 2019 Martin Pipe Handicap Hurdle by a length and a quarter. The six-year-old, a Grade 3 winner, had been third the previous year off a lighter weight, but this time arrived fresher and gamely became the race's third victorious topweight. Jockey Jonjo O'Neill junior had tracked 5/2 favourite Dallas Des Pictons for much of the 2m4f test, that six-year-old representing the same owner, jockey and trainer that had won with topweight Blow By Blow a year earlier. Dallas Des Pictons travelled sweetly for Donagh Meyler to lead around the final bend, Gordon Elliott-trained stablemate Defi Bleu in his wake, as he had been throughout, but when driven to go on up the hill after the last, he could not match Early Doors. The Joseph O'Brien-trained winner galloped away, Dallas Des Pictons taking second, with Defi Bleu a distant third and Champagne Court plugging on best of the rest to be fourth.